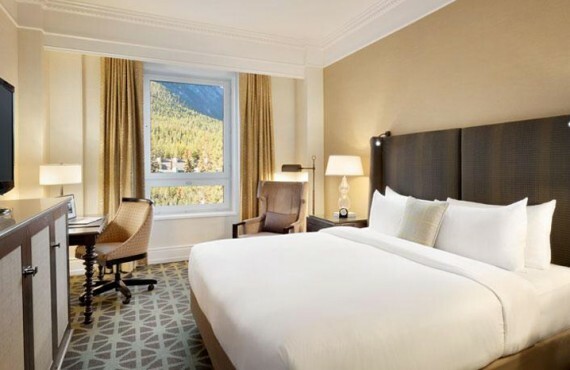 Treat yourselves to the eternal beauty and comfort of a world-class luxury mountain resort in the heart of a pristine wilderness park. 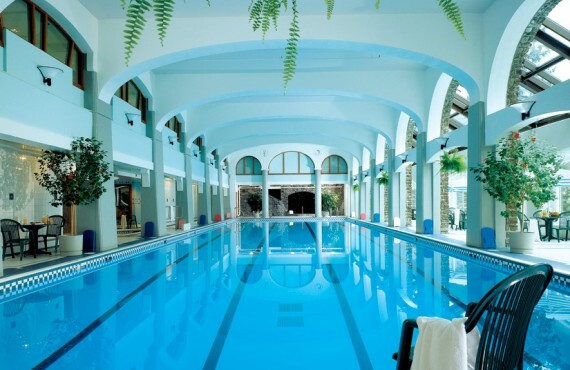 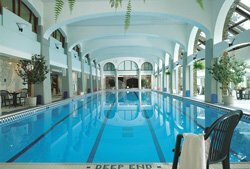 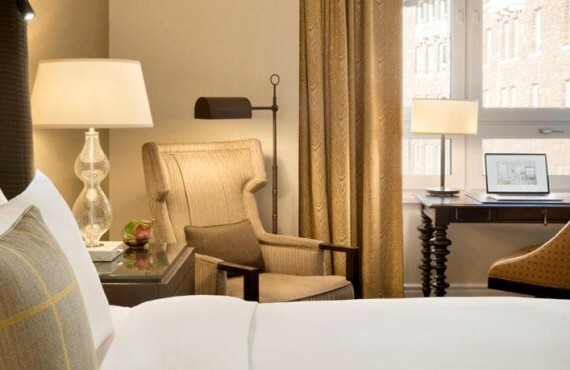 Few hotels can rival the grandeur, service and sumptuous décor of the Fairmont Banff Springs. 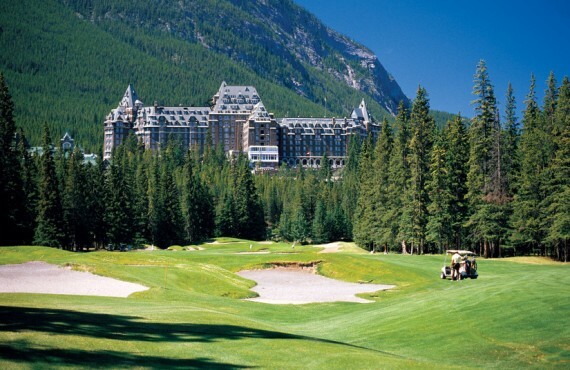 For more than a century, the Fairmont Banff Springs Hotel has been a symbol of the splendour of the Rocky Mountains. 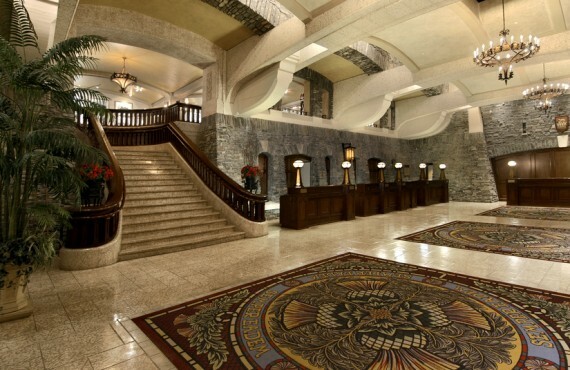 The design of the iconic "Castle in the Rockies" was influenced by Scottish baronial design. 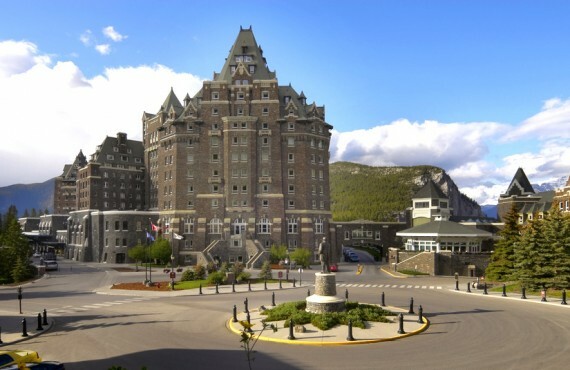 The building is clad in Rundle Rock quarried at nearby Mount Rundle. Its magnificent floors and stairwells are finished with Tyndall stone, an ornamental limestone embedded with fossils, from Manitoba. The Fairmont Banff Springs offers breathtaking views, a professional golf course, traditional cuisine, and the world-class Willow Stream Spa ($). 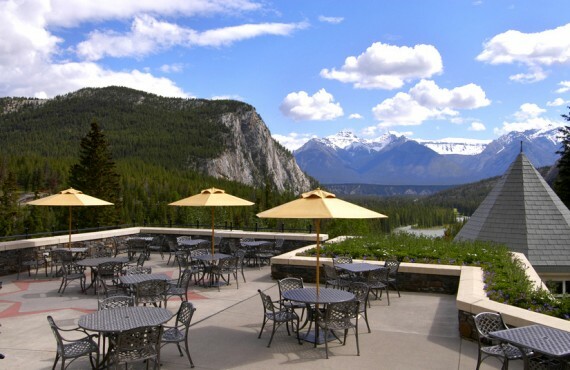 The selection of delicious traditional, regional and contemporary dining options at the Fairmont Banff Springs is as vast as the majestic park surrounding the resort. 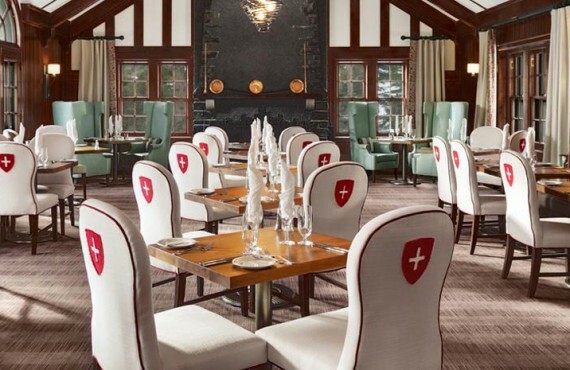 Whether you are in the mood for healthy fare, steak or traditional Canadian cuisine, you are sure to find something to please your taste buds at one of the Fairmont Banff Springs restaurants! 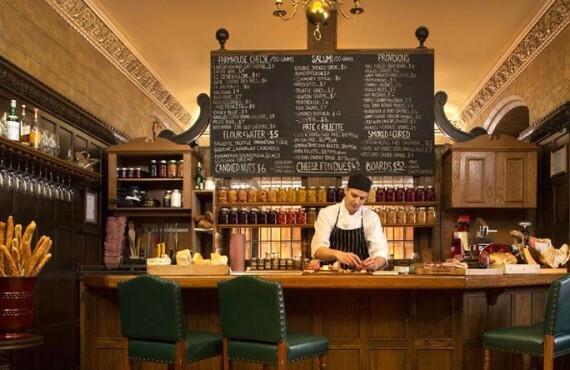 Grapes Wine Bar offers a delightful selection of award-winning wines from around the world along with a tempting menu of gourmet delicacies with which to pair them.